Discover the rich history of Townsville and the surrounding region online and in the Local Collection Room at Flinders Street library. Local History staff will be available to assist you in the library, or you can email your query to historyandheritage@townsville.qld.gov.au. Open for Business: Influential business families of Townsville's past. A comprehensive collection of information featuring 150 years of Townsville's history; neatly organised and presented for your use. For a digital copy of the account of James Morrill mentioned in the year 4 activities please contact History and Heritage. The following are zip files for downloading to complement the above T150 Education Kit. These Heritage Information Sheets are a really valuable local history resource and are particularly useful for school assignments. Learn something new about our city's history. Visit the Heritage Information Sheets webpage to view. The World War 1 Education Kit has two aims, first to illustrate the relevance of CityLibraries Townsville's Local History Collection to the Australian History Curriculum and second to assist teachers in creating a meaningful and interesting history unit relevant to Anzac Day. The kit includes a range of activities with relevant sources for Year 2, 3 and 6 which align with the relevant aspects of the Australian History Curriculum. Whilst the pack has been made with specific activities attached to specific sources it is hoped that teachers look upon the pack as a flexible teaching tool which they can utilise in a variety of ways. The teachers guide for the World War 1 Education Kit can be downloaded below. Please visit our For Schools page to access additional kit resources. Funding was made available to support council's Minutes Through the Years: T150 Townsville City Council Minutes Online pilot project to begin the digitisation and cataloguing of Townsville’s historic minute books and to make them available online. Through the From Selection to Discovery pilot project, one set of minutes is now online and was also made available for the commencement of the 150th anniversary year of Townsville City Council from January 2016. From Selection to Discovery was funded by the Queensland Government through the State Library of Queensland, and provided five councils with a grant and training to support the completion of a digitisation project of their choice. It aimed to increase the presence and accessibility of Queensland’s heritage collections online, and to build the capacity of councils and communities to continue selecting digitising and making collections accessible online into the future. As part of ongoing Townsville City Council library work, further historical minute books will be digitised and made available during the anniversary year of 2016 building on the process established through the From Selection to Discovery project. 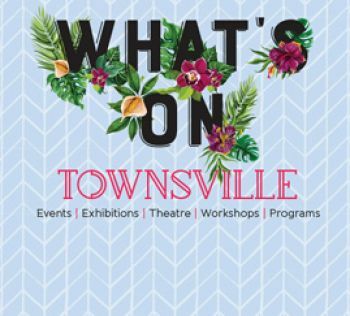 Look out for our lecture series and family history programs in Learn Discover Connect and What's On Townsville. For more information, please ask your friendly staff at CityLibraries.